How can I clean this mattress' vinyl surface? Warm water, a mild detergent, and a soft, non-abrasive cloth or sponge are all you need to clean this mattress' vinyl surface. Wipe clean and rinse with cold water. For stubborn stains, use only an alkaline-based cleaner or a blend of 10% bleach and 90% water. Test any cleaning solutions out on the fabric in an area that isn’t easily visible to see if it discolors or damages the fabric. If it does, stop using the solution. 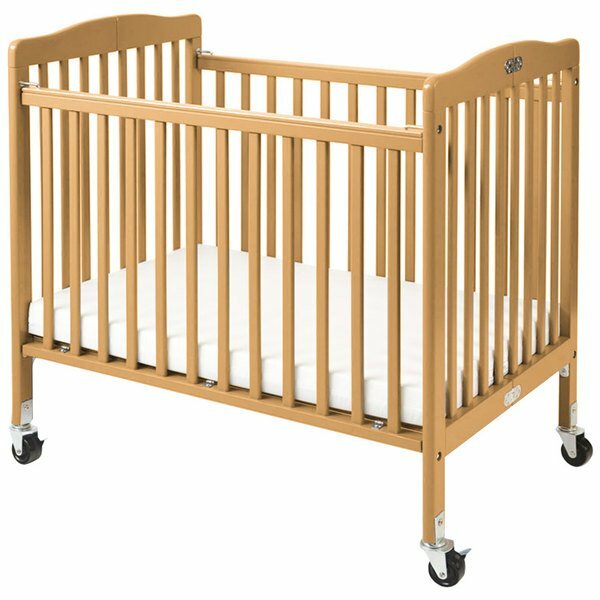 Make bedtime less stressful for baby with this gorgeous L.A. Baby CW-883A The Little Wood Crib 24" x 38" natural mini / portable folding wood crib with 3" vinyl covered mattress. 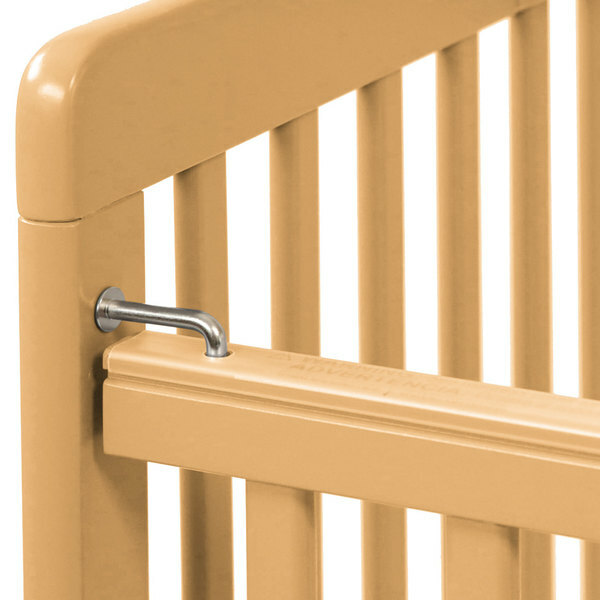 An arched head board and foot board add elegance to the sleek, contemporary style of this compact crib, while an easy-to-clean, natural, scratch-resistant high gloss finish ensures it will maintain its beauty even under everyday use. 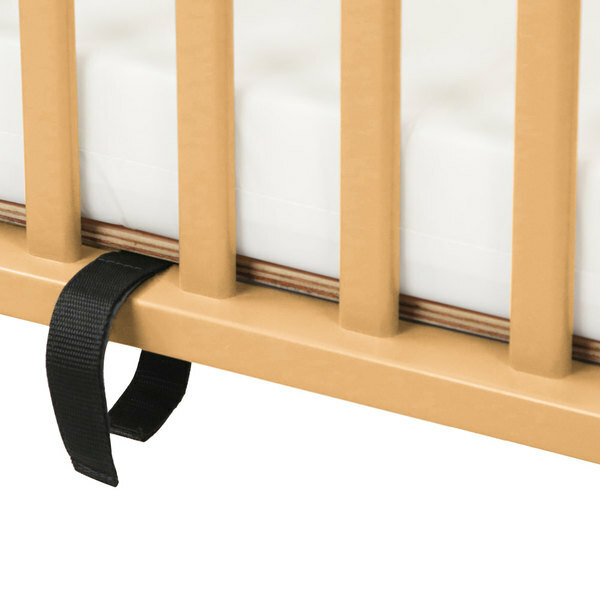 Wherever space is at a premium, this crib is guaranteed to be your go-to addition. It's easy to move, folded or open, with four-2" heavy-duty swivel casters (two locking). Plus, it folds down to just 6 1/4" wide, making it ideal for hotels, day cares, hospitals, or churches with limited storage space. 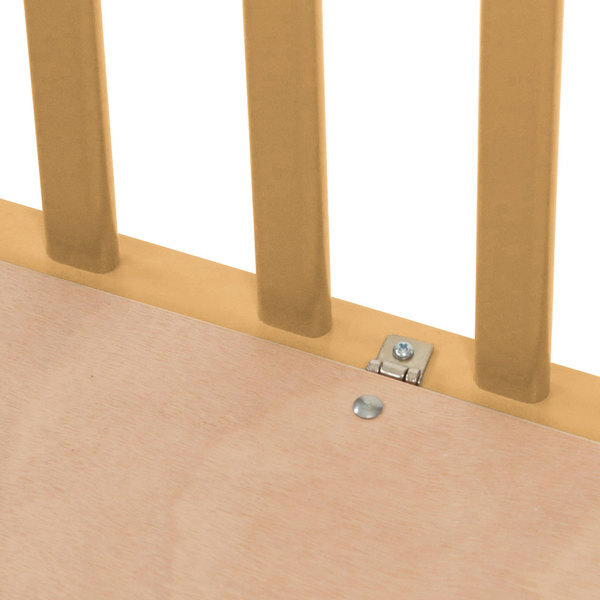 For the utmost in safety for your little ones, this crib is designed to meet ASTM 2710 commercial crib regulations. Additionally, the included deluxe 24" x 38" x 3" thick foam mattress is compliant with Federal Flammability standard 16 CFR 1633 for even more peace of mind. Very nice commercial grade cribs. Beautiful finish and bite guards. Strong, sturdy wheels. Easy to clean mattress. Only issue is that they are not adjustable. 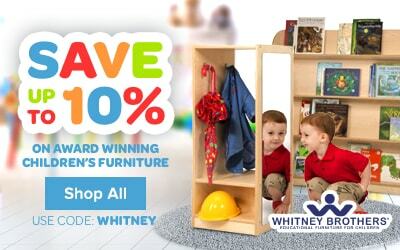 Great for daycare centers where space may be at a premium. 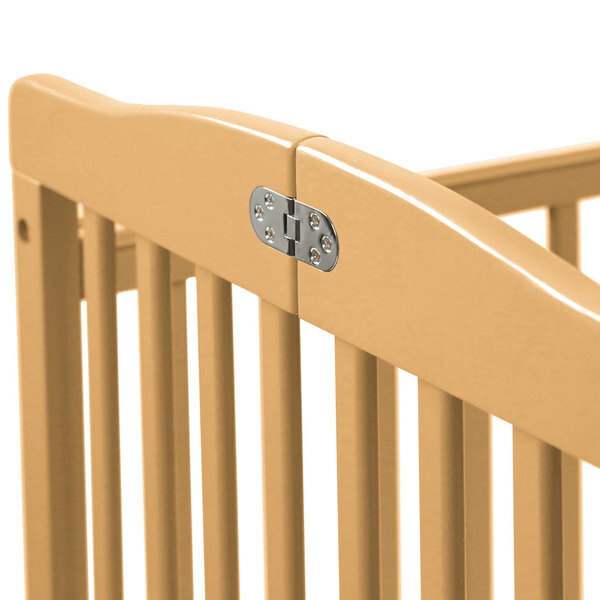 These L.A.Baby cribs are great for customers with children. They fold up for easy storage till needed. They are really well made and worth the money. 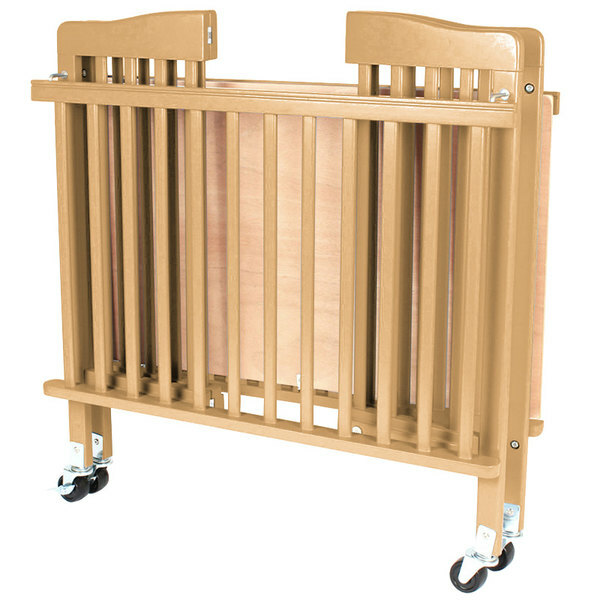 The l.A. Baby 24" x 38" Folding Wood Crib with 3" Vinyl Covered Mattress is great. 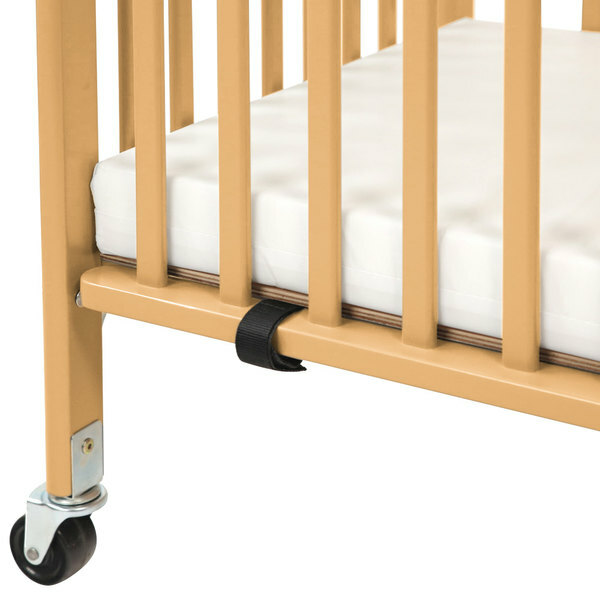 Makes bedtime less stressful for baby and parents.Relax knowing it meets all CPSC and ASTM non-full size crib regulations.It is easy to move when folded or open with it's 4 2" heavy duty swivel casters.